Get your free Real One Player download! From Hatari('62) to Krall('05), it's Schmitty! History: Today, Al Schmitt is best known for the sonically exquisite recordings of Natalie Cole and Diana Krall, artists who complete the circle from the orchestral sessions of his youth in New York through to the sessions in the West Coast with pop and jazz royalty to include: Mancini, Chet Baker, Paul McCartney and Bob Dylan. What can I tell you? My life is pretty good, says Al Schmitt who received a Hollywood Star in 2015 (first ever for an engineer/mixer). Als' Star is located in front of Capitol Records, the studio that has become his second home. With an unparalleled 24 (twenty-four) Grammy Awards for engineering, and over 160 Gold and Platinum albums, Schmitt epitomizes great recording through decades of technological change. The legendary and world-renowned recording engineer received a Grammy in 2002 for Diana krall's "Look of Love." produced by the late and great (Al's dear friend), Tommy LiPuma. "We recorded the vocals and rhythm section live at Avatar in New York. Then we went to London and recorded the London Symphony in The Beatles' old studio at Abbey Road, Studio Two. After that, we came back to L.A. and did a couple of fixes in Capitol Studio A, and then I mixed it at Capitol Studio C on a Neve, ” says Schmitt. He has remixed several of these albums in 5.1 for release on the Super Audio CD format, such as Coles Unforgettable and Kralls When I Look in Your Eyes and The Look of Love. You have so much more space, Schmitt confides. 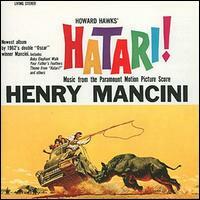 Known for the singular artistry he brings to his recordings, Schmitt captured his first Grammy for Best Engineered recording in 1962 for Henry Mancini's "Hatari". Nine subsequent Grammy's in the same category stretched through the decades: 1976: George Benson's "Breezin'", 1977: Steely Dan's "Aja", 1978: Steely Dan's "FM (No Static At All)", 1982: Toto's "Toto IV", 1991: Natalie Cole's "Unforgettable," 1996: Quincy Jones' "Q's Jook Joint," Diana Krall's "When I Look In Your Eyes," and two Latin Grammy Awards in 2000: Luis Miguel's “Amarte Es Un Placer.” This year Al was given a special merit or Trustees Award at the 48th Annual GRAMMYs. Al has engineered albums and shows in a variety of musical genres with some of the top singers and musicians in the industry, including Barbara Streisand, Madonna, Steely Dan, Ray Charles, Vanessa Williams, Frank Sinatra, George Benson and Quincy Jones. Schmitt's celebrated engineering and mixing skills are showcased on over 150 gold and platinum albums. In '97 Al became an inductee into the TEC Awards Hall of Fame. Al worked on a television special and DVD with Diana Krall and recording sessions with Natalie Cole, Kenny Rankin, Tony Braxton and Dee Dee Bridgewater. Al Remixed Joni Mitchell's Songs of a Prairie Girl, engineered Trumpeter Chris Botti, engineered and mixed Michael Bublé's debut and Paul Anka's Rock Swings. Current Credits: On August 13, 2015 Schmitt became the first recording engineer to be presented with a star on the Hollywood walk of fame in front of Capitol records. Producer Don Was, president of Blue Note Records, introduced Schmitt. "And let there be no mistake about it, it takes a beautiful cat to consistently make such beautiful records. I can think of no other figure in the entire music business who is as loved and respected as Al Schmitt," said Was who likened Schmitt's career longevity, success and enduring vitality to that of iconic Mick Jagger's. Al Schmitt bio on the Verve Artist page here!